I’m so excited to be partnering with EasyClosets in a two-part series over the next week as I makeover my daughter’s closet from start to finish. 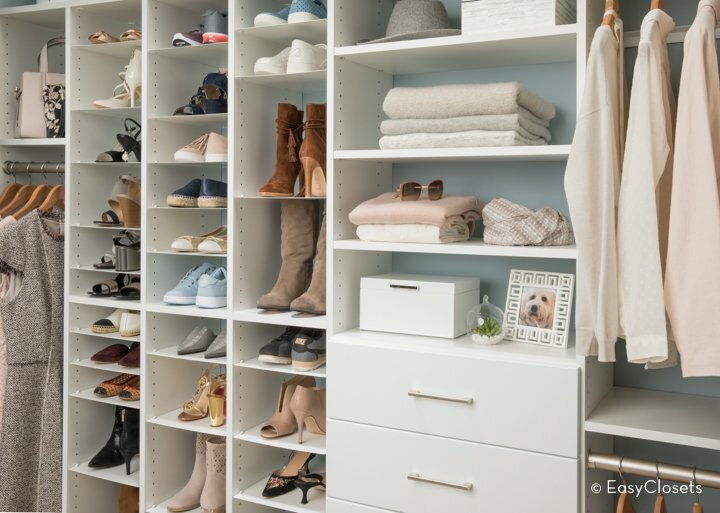 Today, I’m talking about choosing a closet organizing system and design/layout planning and next week, I will take you through the installation process and show you my daughter’s finished dream custom closet. My daughter Bella just started the 8th grade this week (pass me a tissue)! Just in the last couple of months, she has shot up to 5’1″ and is nearly as tall as me! She’s pretty much outgrown everything and it’s way past time that we reorganize her closet and look at choosing a custom closet organizing system that better meets her needs. My daughter’s closet is your basic reach-in closet. When she was smaller (and her clothes were smaller/shorter, etc), I stacked attachable shoe shelving in her closet for storing clothes, shoes and all of her accessories. 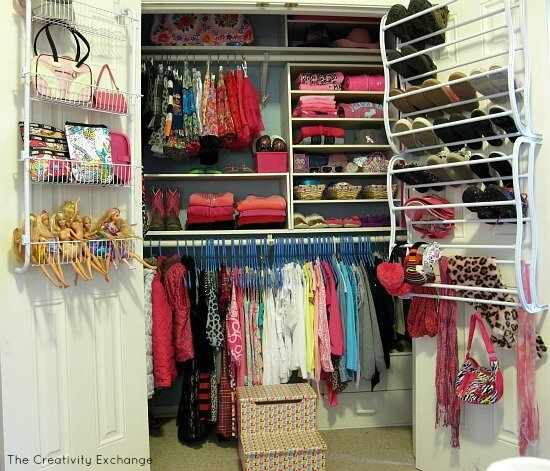 Here’s a picture of her closet that I organized when she was younger. I knew the day would come when my girl would outgrow all the temporary small shelving that I set up. The sweatshirts got bigger and her shoes are longer/bigger, so we desperately needed a serious new custom closet organizing system ASAP! As you can see below, what we set up for a little girl no longer works for our growing teen (notice all the sweatshirts). Yep! We have entered DEFCON 5 status! 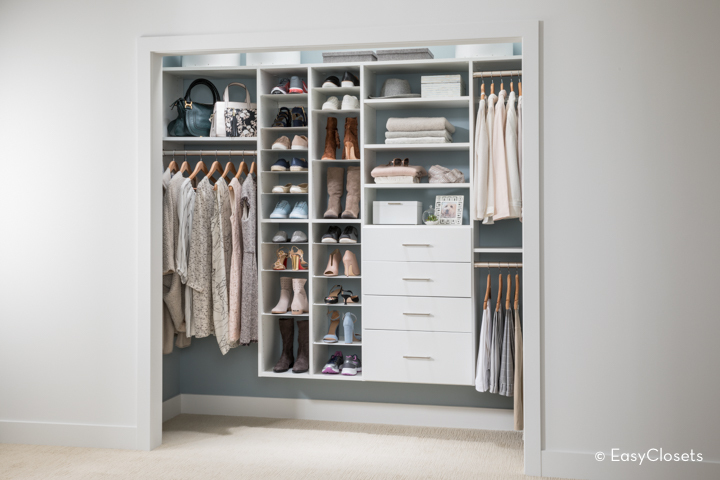 EasyClosets layout and designing process is seriously one of the easiest processes out there for designing a dream custom closet. When we began the process, I started by looking through the EasyClosets huge gallery of closet images/designs that show all of the color possibilities, styles and all the components that we could potentially include in our design. 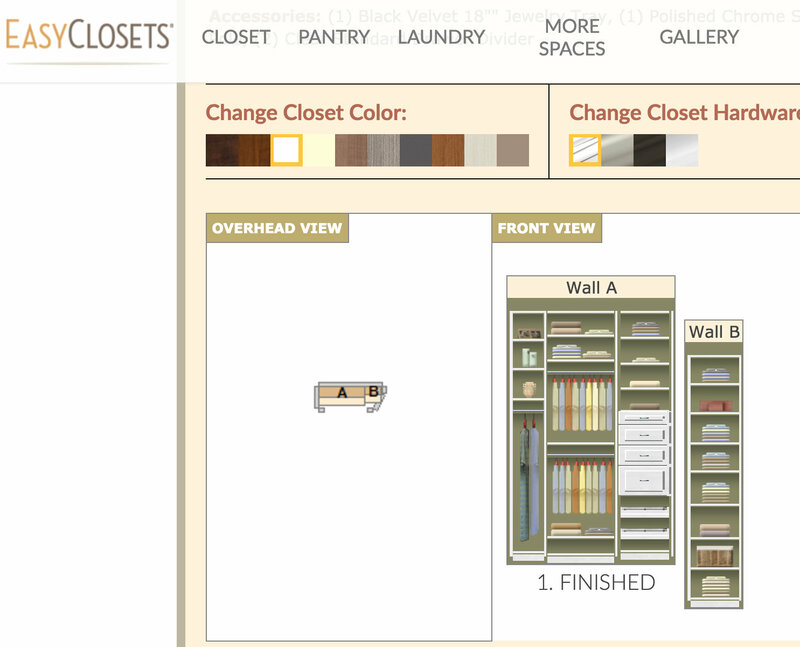 I’m such a visual person, so it really helped me so much to look through the EasyClosets gallery of finished closet designs to see all the possibilities and then I knew I could go from there! So, I immediately went to these closet designs/elements when I looked through the EasyClosets gallery. Even though my daughter’s closet is a reach-in style, this design really shows the color and the shelving possibilities. I LOVE the slanted shoe shelving too! 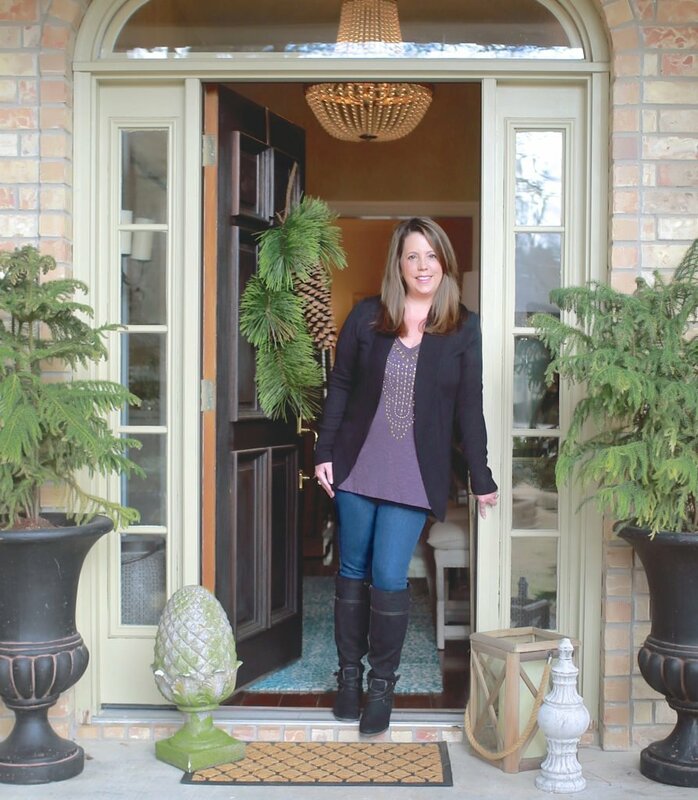 I loved that you can choose pretty much anything you would want, including hardware style and finish, crown molding, color, etc.. 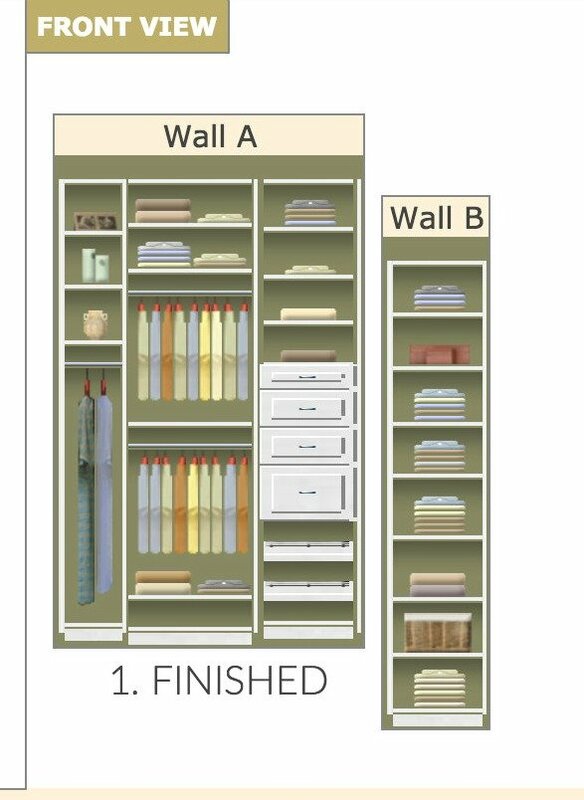 I also went right to this image below of the gray reach-in closet design because it’s very similar to the layout of my daughter’s reach-in closet. It really helped us better envision the possibilities. By the way, I really loved the gray but my daughter wanted white. After looking at so many different design layouts and endless configurations, I loved that we could design just about any type of closet we wanted. This image below really helped us envision all the various size shelving options for all of my daughter’s sweatshirts, tees and accessories. So once I was able to see the possibilities, make a decision on color and style, we needed to really identify trouble spot areas in my daughter’s closet. In other words, we needed to identify her greatest need at this stage of her life for her closet. Because she’s now a teenager, 3/4th of her wardrobe is t-shirts, sweatshirts and tennis shoes (typical teen). These types of clothing pieces work best when they are out in the open and folded on shelves. So we knew that we didn’t need as much hanging space as we needed a lot of open shelving. The best thing about EasyClosets is that a few years from now, we can easily reconfigure the layout, adjusting shelving or adding different components, to fit Bella’s closet needs as she gets older. So we then moved on to the design process. 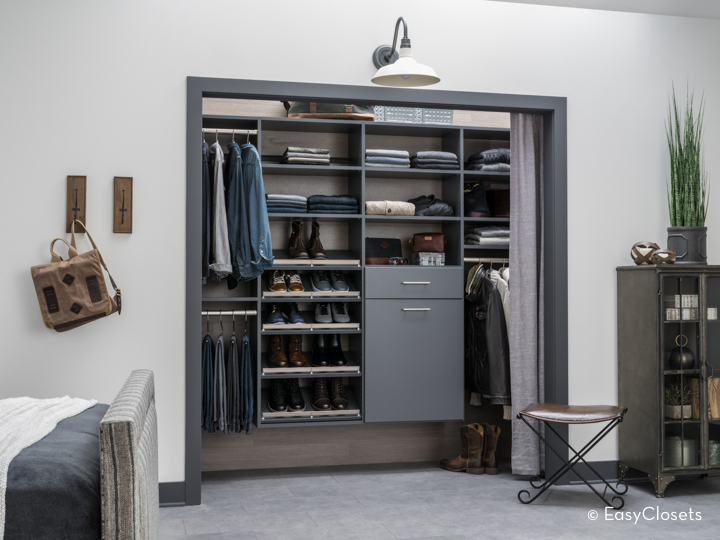 I’ve looked at every system imaginable online over the years and what I loved the most about EasyClosets is that you can choose to design the closet online (using their online tool) or you can work directly with a designer. I did both for my daughter’s closet. I started by playing around with the online tool for a design layout to see the possibilities and then I worked with an EasyClosets designer who created my daughter’s dream closet. EasyClosets designer Roz Ross was absolutely amazing! I told Roz my daughter’s needs, gave her our exact closet measurements and a few hours later, a design showed up in my inbox! As you can see above, the design had a lot of open shelving, several rows of slanted shelving, closed drawer storage and even a drawer jewelry tray! What more could a girl want, right?! After we looked at our layout from the designer, we would respond with any questions or tweaks. Just a couple hours later, questions were answered and Roz also offered lots of great suggestions! Tweaks were made and an updated layout was sent to my inbox. It was that simple. Crazy easy! The designer also talked us through a couple issues that we needed to think about because of a strange angled wall on the right side of the closet. 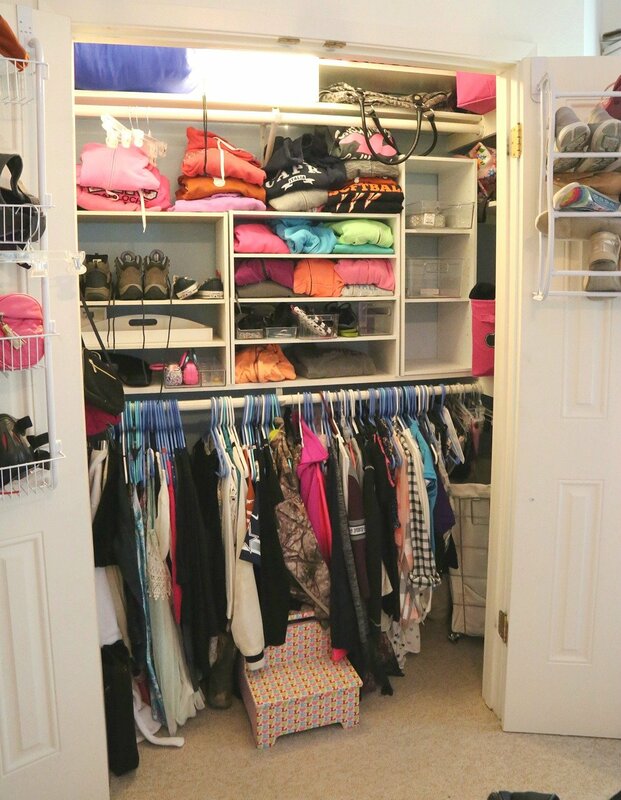 Roz created a design that will maximize the space in the closet. 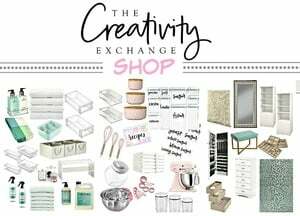 She also talked to us about all of the available accessories like pull-out scarf holders, drawer dividers and plexiglass shelf dividers. Again, all this little stuff will help us better organize the space. Ofter we approved the final layout, Roz talked to us about shipping and sent us some links to online videos that helped us better understand the installation process. The boxes arrived very quickly and next week, I will be sharing the installation process and the final reveal of my daughter’s new dream closet! So stay tuned! We used Easy Closets for a walk-in master closet and built it ourselves, even adding molding at the floor for a true custom look. Loved my jewelry tray, valet rod and built-in hampers. great quality and customer service. I am very interested in seeing your next post about the end result! I hope you share the final cost as well. 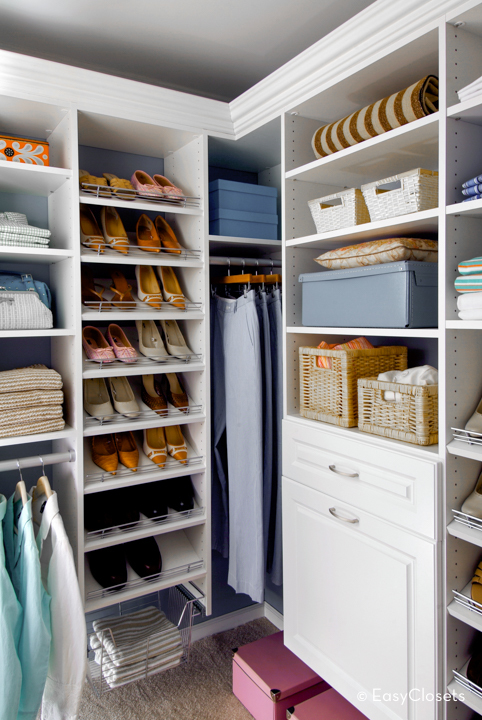 We love Easy Closets! We converted all our closets in the last house from the basic builders particle board shelves. We eliminated our bedroom furniture (dressers), using the drawers and shelves from Easy Closets instead. It opened up the bedrooms, giving us space for chairs, etc. Our new house will have all Easy Closet closets as well. They are very simple to install and make life so much easier with all the organizing options. I have worked with Tracey on all my closets over the last 10 years or so. She is great to work with and does a great job checking my designs.